Students like Antonio, a 5th grader at Durant Tuuri Mott Elementary School (DTM), are finding focus, comfort, and space to grow through the practice of mindfulness. 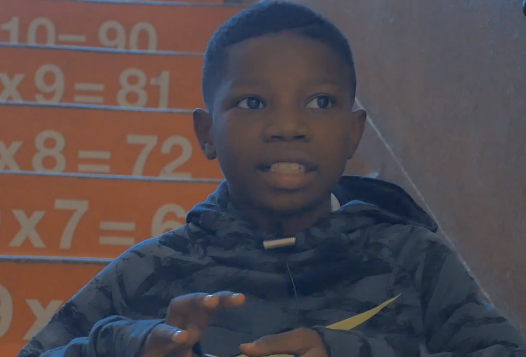 Watch this video to hear from Antonio and DTM Math and Literacy Intervention Specialist, Jennifer Purman on the benefits of mindfulness in Flint schools. In addition to physical activity and nutrition programming, mindfulness is a key intervention supported by the Crim to help all youth in Flint build resiliency; especially those facing chronic stress and the effects of the Water Crisis. Jennifer Purman relates incredibly well to her students; as she attended DTM as an elementary student. She returned to teach there 24 years ago, and continues to add new tools to her toolbox to best support student learning. She now shares mindfulness, including yoga, with her students and volunteers as a Crim Mindfulness Champion and Ambassador. Support from generous donors makes it possible for the Crim to provide scholarships for teachers and to partner with Yoga Ed. and Inner Explorer to make evidence-based trainings and curricula accessible to all educators in the Flint Community Schools and four neighboring districts. Currently, the Crim Mindfulness Initiative reaches 6000 of Flint’s 15,000 youth, and we look forward to your continued support to reach even more in the future.